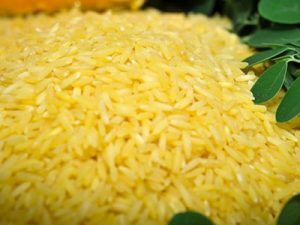 Last week, we reported that the United States Food and Drug Administration (FDA) has given approval for the safety of Golden Rice, a genetically engineered biofortified crop that promises to help alleviate Vitamin A deficiency — a serious health concern in 250 million preschool-age children globally. According to an article published in Cornell University’s Alliance for Science blog last week, this marks the third positive assessment of the crop by national food standards agencies, the first two being from Australia and New Zealand. The FDA wrote to the International Rice Research Institute (IRRI) that “Based on the information IRRI has presented to FDA, we have no further questions concerning human or animal food derived from GR2E rice at this time.” IRRI has been applying for approval internationally to ensure smooth trade in the commodity but the crop is intended for people in Asia and Africa who depend on rice as a staple food. This approval should help the beta-carotene enriched rice, which has long been held up due to the GM debate, get to populations in need. This week, we include follow-up articles on this milestone, “Embattled Golden Rice is now allowed in US food supply” in Futurism, “GM golden rice gets approval from food regulators in the US” in New Scientist, and “FDA approves Golden Rice for consumption” from the Progressive Farmer. To read a copy of the FDA’s letter to IRRI, follow this link. Rice also features in other headlines from around the world this week, including “Gene-edited rice plants could boost the world’s food supply” from Engadget, “India: Hybrid rice clicks better in poor than agriculturally prosperous states” in Indian Express, and “Free app to help rice farms lessen losses from weeds” in AllAfrica. From the B4FA Fellows this week, we also hear from Lominda Afedraru, who writes about Uganda’s scientists’ use of biotechnology to solve agricultural, health and environmental challenges, and Michael Ssali, who writes “When agriculture is sick we are sick”, a report on the farm clinic organized by the Daily Monitor at the Mbarara Zonal Agricultural and Research Development Institute (MBAZARDI), an opportunity for farmers and other stakeholders to learn about new farming technologies agricultural solutions. Opinion: Are the anti-GMO activists in Ghana following CRISPR? Do you have an inspiring success story of agricultural innovation? Send it in for the November 2018 FAO International Symposium on Agricultural Innovation for Family Farmers will take place at HQ. Deadline: 15 June.